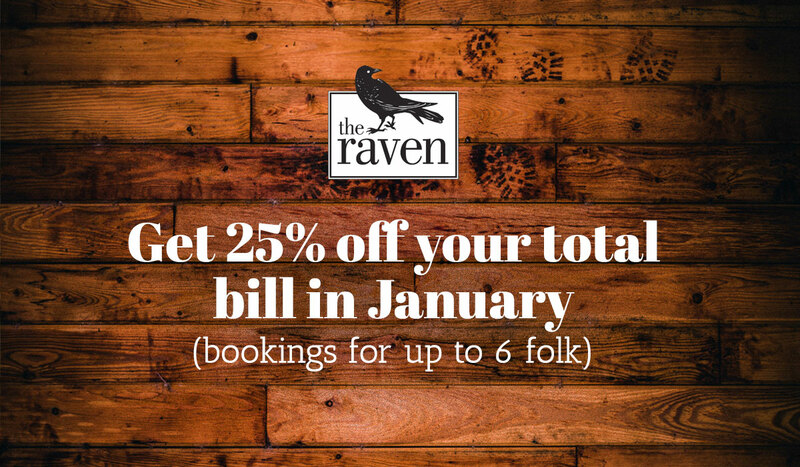 At the start of the year every penny counts, at The Raven we are giving 25% off your total bill for our January sale so you can keep spending to a minimum. Call us and book your table now quoting the sale. In order to book your table or if you have any questions at all please call us on 0141 332 6151.